The E-D Hikashop Puralotor Shipping plugin is an implementation of the Purolator Package Rating Services and advanced features, including 3D Box Packing algorithm for better shipping estimates. K2 Integration for RSForms Pro! K2 Integration for RSForms Pro! is a plugin that allows you to use RSForms to make/edit items in K2. 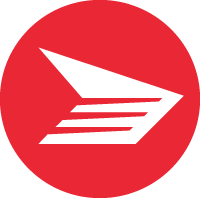 The E-D Hikashop Canada Post Shipping plugin is an implementation of the Canada Post rating services with advanced features, including 3D Box Packing algorithm for better shipping estimates.